Although Lewis Hamilton was back on the top step of the podium last time out at Monza, it was an unexpected result. Ferrari locked out the front row of the grid on the Saturday and were expected to race to a relatively easy win on the Sunday. However, Sebastian Vettel took himself out of contention on the opening lap leaving it to Kimi Raikkonen to fly the flag. 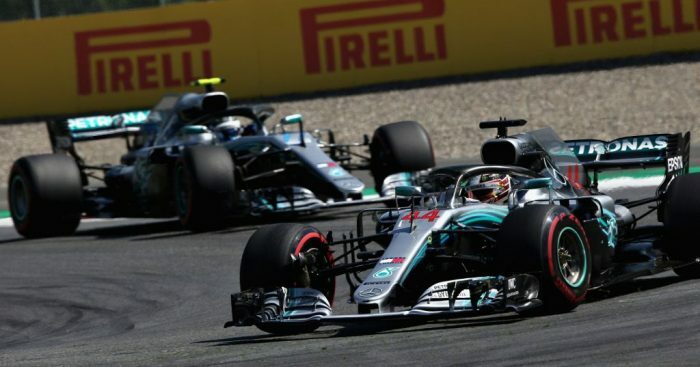 The Finn, though, was dogged by Hamilton throughout the race with the Brit eventually making the winning pass with a little help from Valtteri Bottas who held up Raikkonen for several laps. “It shows that the racing happens on Sunday,” Wolff said. “I’m very proud of the work the team have done. All the engine guys and the chassis guys from Spa to Monza. “We have understood the car better, we have understood the tyres better. We’ve added some performance and even if [in qualifying] we didn’t show it because we couldn’t qualify on pole, I felt that we’d done some good work. “I would have also said that if we hadn’t won. Nevertheless, we didn’t have the quickest car but [in the race] we did. Wolff, though, acknowledges that Mercedes need to do more if they want to beat Ferrari to this year’s titles. He added: “We will give it everything in Singapore and all of the remaining races. “We will turn the whole factories in Brixworth and Brackley upside down to extract performance, and go to Singapore with the aim of doing the best.